How does one reconcile the tension between the community of one’s own Catholic upbringing and a sexuality and gender identity that may be in conflict with some of the tenets of the faith – especially when one is a member of the Gay, Lesbian, Bisexual, Transgender, Queer, and Intersex community? Queer and Catholic offers a source of comfort to members of these communities, focusing on not only practicing Catholics, but also the entire experience of growing up Catholic. This unique book discusses Catholicism beyond its religiosity and considers its implications as a culture of origin. 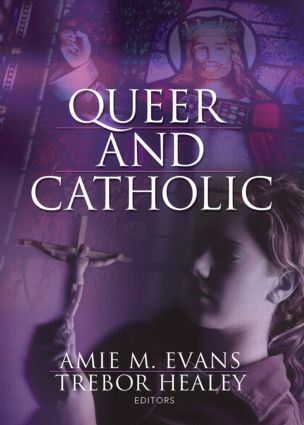 This widely varied and entertaining book pulls together a comprehensive collection of essays, stories, and poetry that together represent an honest and engaging reflection of being a queer person within the Catholic experience.